Way back in Dark Nights: Metal, the heroes narrowly emerged triumphant and defeated the forces of the Dark Multiverse. In the process, they cracked the Source Wall, the barrier that separates the multiverse from something greater…and more terrifying. This week, writers Scott Snyder and James Tynion IV will be joined by artist Daniel Sampere in Justice League Annual #1. And this is no mere throwaway story. The League finally has a plan to fix the Source Wall. But it will cost them one of their own. 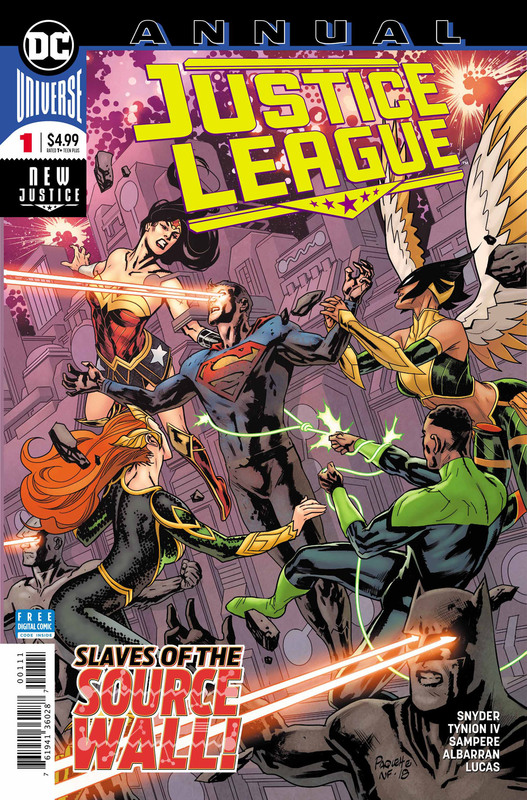 In Superhero Hype’s exclusive preview for Justice League Annual #1, the League arrives at the Source Wall to put its plan into action. And they’ve enlisted some extra heroes to help out, including Green Lantern Kyle Rayner, Miss Martian, and the long-lost Starman, who is somewhat less than stable. But this plan has to work, because the consequences of failure are simply unthinkable. You can read the full exclusive preview in our gallery below. 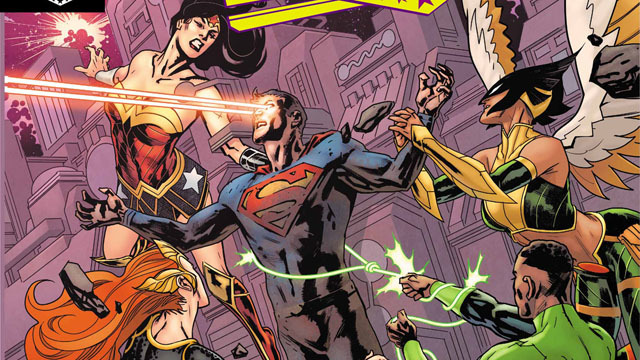 Justice League Annual #1 will hit comic shops on Wednesday, January 30. Let us know what you think in the comment section below!